I have been drooling over Instagram photos my friends are posting while they're still in Korea. I miss Korean food so much! It's true I did get sick of it while I was there, but now that I'm back I wish I could still go outside and order myself some chicken and beer (ok maybe minus the beer). 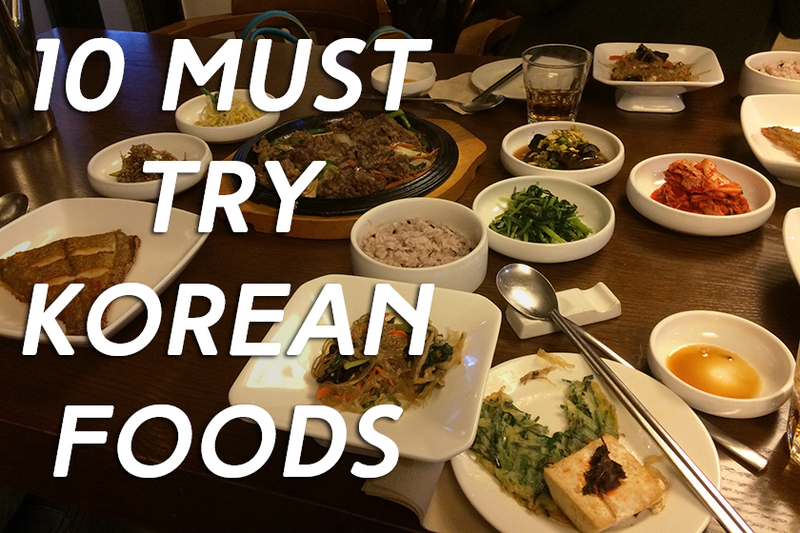 To keep you from running out of delicious Korean food to eat (and having to spend a fortune on Indian food or living off of Mcdonalds), I made a list of foods you should try at least once while you're in Korea. But instead of the usual Korean foods you hear about, the spicy rice cakes, the tofu soup etc, I thought I would recommend a few really special ones that I didn't know about until I tried them and ended up loving them. One fine afternoon, my friends and I decided to celebrate a friend's birthday by dropping $20 on a traditional 5 course Korean meal. This seriously felt like one of the best meals I ever had though it wasn't all that unique because you could probably get the same type of food elsewhere. However, the food was of great quality. The japchae was by far some of the best I've tasted and the bulgogi was superb. In Korea, I feel like if you don't know a real Korean person that would invite you to their house for chuseok (Korean thanksgiving) then this might be the best alternative. My language exchange buddy's brother had a chicken feet restaurant in Insadong so he took us there. Best. Language exchange buddy. Ever. Also the spiciest thing I've ever had in my life but thank goodness peach juice saved us. Who knew peach juice was so effective at extinguishing the fire in your mouth. I found it fun to eat with my hands and spit out the bones in a very un-lady like way. It was spicy but you just kept on wanting to eat it and eat it even though your throat was swollen. Seeing so many pig feet restaurants in Hongdae, I knew I had to try it at least once. Let me tell you it wasn't an easy feat (haha get it) convincing my friends to go with me but afterwards they thanked me for it. I've eaten pig feet before in China and at home but its more braised and harder to eat than the one in Korea. This one was soooo good and not spicy at all. Just thinking about it now makes me drool. There was way too much meat for the three of us but it was one of the most unforgettable meals in Korea. I felt like a true barbarian. MEAT MEAT MEAT! I have a love and hate relationship with dak galbi. I can't ever pronounce it right. It use to be my default answer for whenever a Korean person asked me what my favorite Korean food I've tried so far was. But every time I said it they would give me this confused look. This picture is from when I first tried dak galbi near Nami Island in Chuncheon where its most famous. I was blown away by how delicious it was and was ecstatic that they were all over Sinchon. And then came the month where we probably ate Dak galbi at least once per week and I could taste it without even having to eat it anymore. Dak galbi from then on equaled nausea. You should still try it...just don't over do it like we did. Jjim Dak came up on a google search of chicken dishes to try in Korea. So we popped into a store in Edae that we overlooked several times. It was good and a change from dak galbi but it was still too sweet for me. It's nice to try at least once though, even if it's just to take a picture of the cute little chicken made from an egg. I discovered this fantastic thing called "Yak Gwa" it's the flower looking cookie pictured above. The rice cakes were delicious as well. I have a sweet tooth so I'm always up for it if going out for tea! And that includes traditional tea in Insadong. Korea has so many different types of tea it's hard to describe them all but most of them are pretty delicious. I don't know if this counts as "food" but I had to include it on this list. The first and last time I tried triangle kimbap was this picture. It's not that it wasn't good or anything but I was too stupid to know how to open it. This is why you should always read the instructions and follow the arrows but it was too late when I realized that. I had somehow gotten the seaweed part stuck between the plastic and ended up just eating the rice. It didn't help that I was sitting in the hallway outside my classroom and everyone was looking at me (at least it felt like it at the time). So now I just stick to the stick kind...and I don't try to handle the triangle version any longer. By the way, the ham one they sell in the basement convenience store of the business building at Yonsei tastes really good. I miss that kimbap...I can almost smell it's haminess now. There are so many different types of instant ramen in Korea that I wanted to try them all. I wanted to show a picture of the famous spicy one but I guess I forgot to take one while I was eating it. But you know which one I'm talking about, the dried spicy one that roughly translates into FIRE!!! CHICKEN!!! MIXED NOODLESS!! or something like that. Also the ones that you can get in ahjumma shops where they cook it for you and you can get it with a side of kimbap is amazing. It makes me feel like a true Korean person. 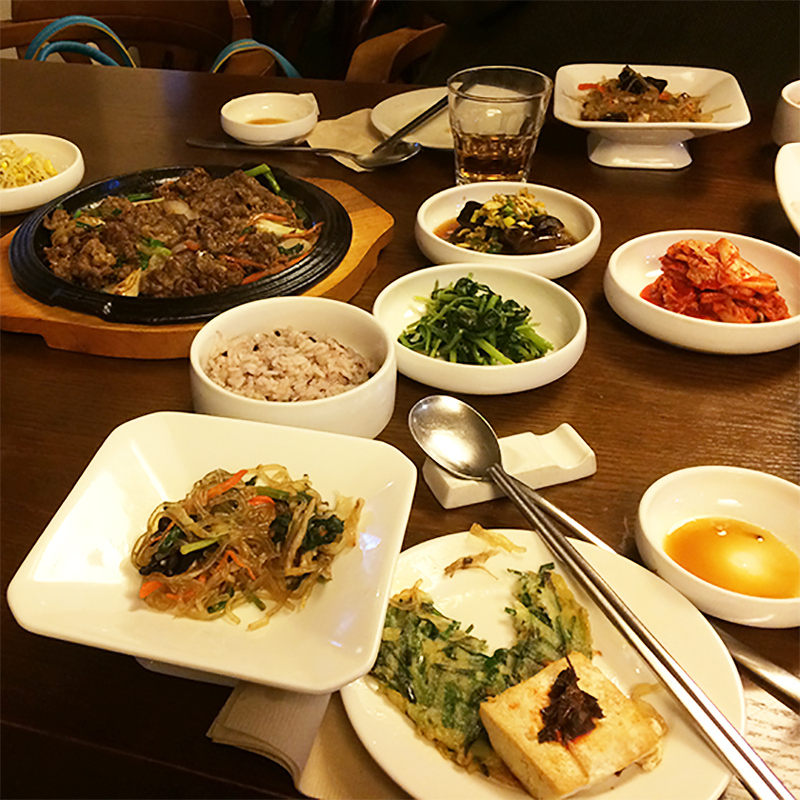 There's a lot more foods you should try but these are the ones I want to go back to Korea to eat right now. I would like to have another chance at unwrapping a triangle kimbap. What foods do you think I missed? Recommend them below! !